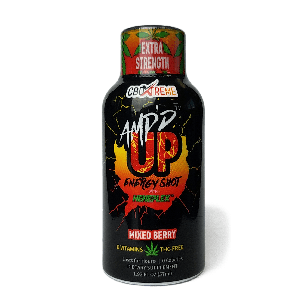 The key ingredients in AMP’D UP are also available in everyday foods – like broccoli, avocados, bananas and apples – or already in you. 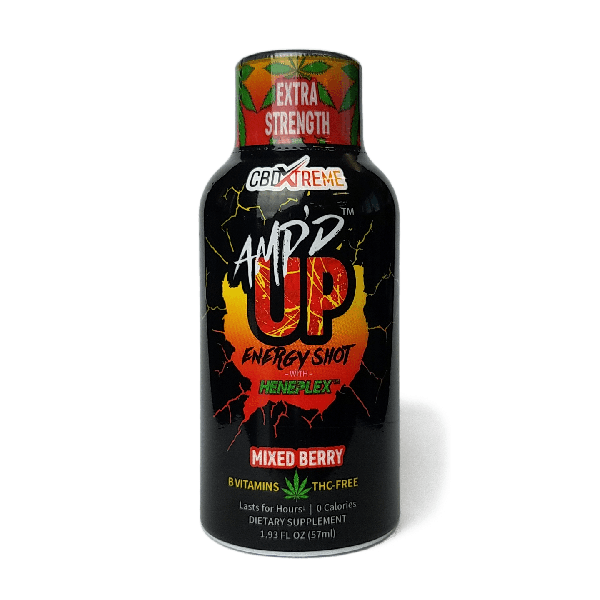 It also contains a powerful punch of Heneplex™ delivering hemp phytocannabinoid supercharged nano delivery complex. That and more caffeine than a cup of the leading premium coffee and you're bound to be “Amp’d” up! Powered by unique nanotechnology, Heneplex™ is a full spec­trum hemp essential oil complex containing naturally occurring, non-psychoactive phytocannabinoids such as Cannabidiol (CBD) and over 75 botanical terpenes. Dose: 2mg Nano-Amplified CBD (Heneplex™) per 2oz Bottle Key Benefits: Potent THC-free nano­ amplified formulation With Heneplex™ – a full spectrum nano hemp complex for superior phytocannabinoid (CBD) delivery Fast and easy to consume Quick, simple and effective B-vitamins The key ingredients in AMP’D UP are also available in everyday foods – like broccoli, avocados, bananas and apples – or already in you. It also contains a powerful punch of Heneplex™ delivering hemp phytocannabinoid supercharged nano delivery complex. That and more caffeine than a cup of the leading premium coffee and you're bound to be “Amp’d” up! About Heneplex™ Powered by unique nanotechnology, Heneplex™ is a full spec­trum hemp essential oil complex containing naturally occurring, non-psychoactive phytocannabinoids such as Cannabidiol (CBD) and over 75 botanical terpenes.